Two Light Combat Aircraft Tejas fighters of the Indian Air Force (IAF) are set to participate in the Langkawi International Maritime Aero Expo (LIMA) 2019 in Malaysia from March 26, 2019, to March 30, 2019. This is the first time that the Indian Air Force is participating in the Maritime Aero Expo. The two fighter jets took off from Air Force Station, Kalaikunda on Frida and reached Langkawi via Myanmar. 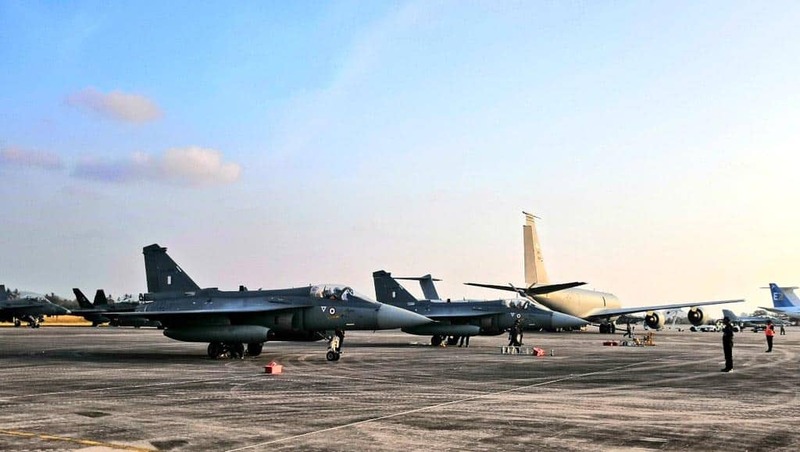 The participation of IAF fighter jets, pilots and other air warriors in LIMA 2019 will provide an opportunity to them to interact with their Royal Malaysian Air Force (RMAF) counterparts and foster close relationship between the two services. "This will serve as a foundation for any future interaction with the Malaysian Air Force. It will also provide an opportunity to RMAF to assess the capabilities of LCA," said the IAF. 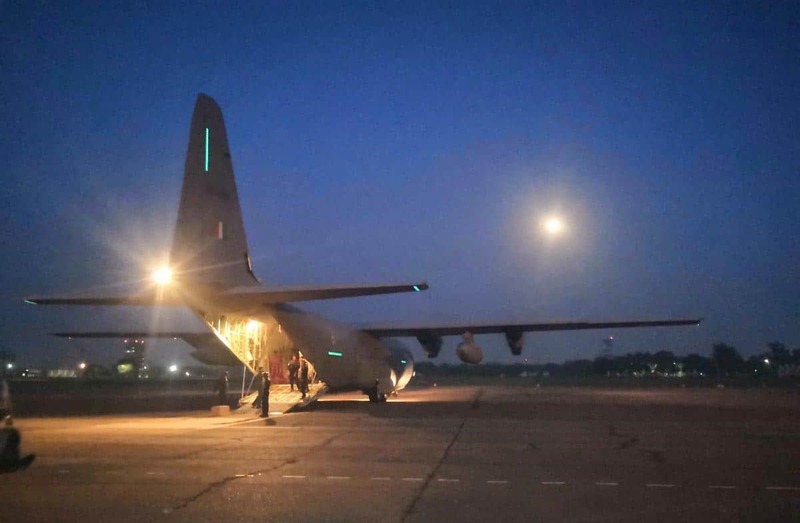 The Indian Air Force contingent participating in LIMA-19 arrived at the venue at 1820 hrs Malaysian local time (1550 hrs IST). 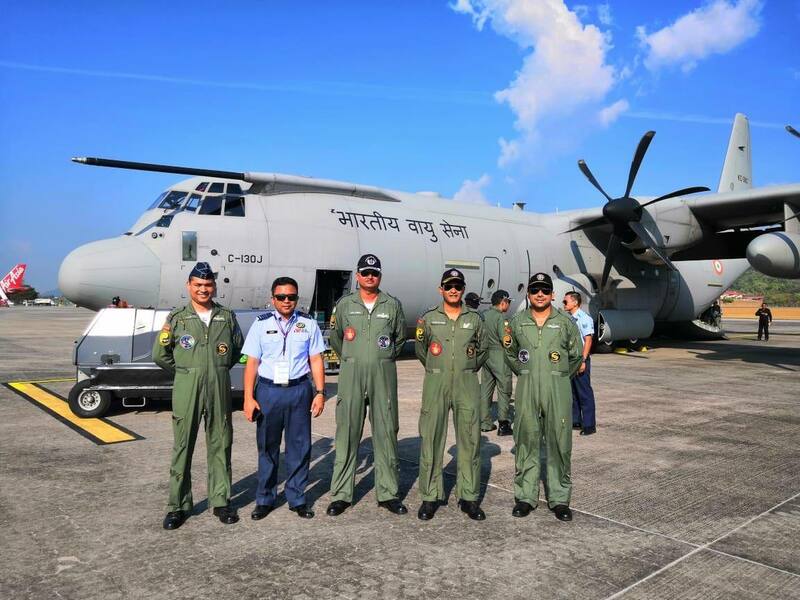 The contingent received a warm welcome from the Royal Malaysian Air Force (RMAF), Defence Attache Malaysia and the support staff, reported the IAF. The Tejas is a single-seat, single-jet engine, a multirole light fighter designed by the Aeronautical Development Agency (ADA) and HAL for the Indian Air Force and Indian Navy. It is the world's lightest supersonic fighter. The IAF contingent also consists 27 officers, 42 air warriors and 11 Hindustan Aeronautics Limited personnel. 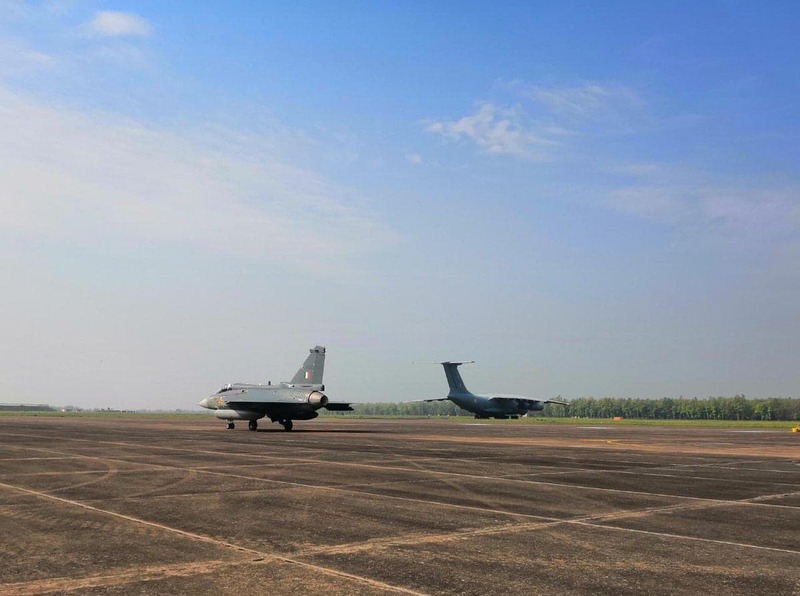 One C-130J Super Hercules military transport aircraft and one IL-76 plane along will provide logistics support for induction of LCA Tejas aircraft to Langkawi. 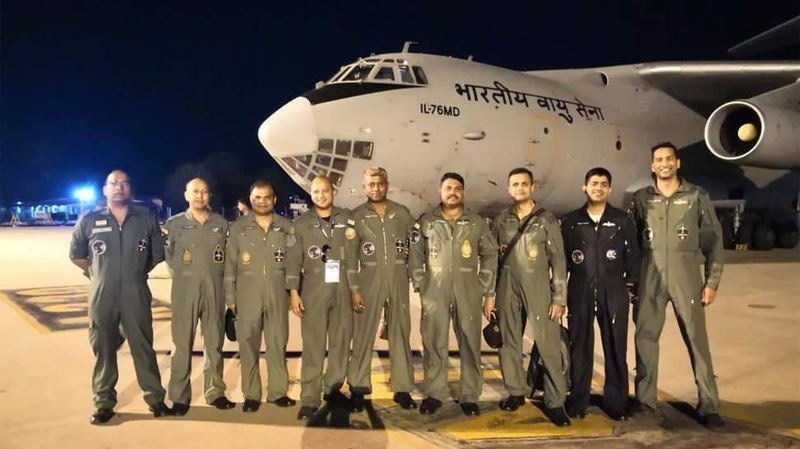 Members of the Indian Air Force contingent participating in LIMA-19.